Welcome to this website which it is hoped you will find both informative and useful. The Board of Trustees, responsible for the management of the Hall, intend that the website should be a useful means of keeping the local community and others up to date with what is taking place both at present and in the future in the Hall. Also it is hoped this website will provide a simple means for those clubs and organisations who regularly use the Hall facilities to keep their members informed of events, meetings etc. Innellan Village Hall has been in existence on the same site since it was built in 1902. Situated on the main Shore Road there is car parking and the bus stop for services to and from Dunoon is right outside the front door. 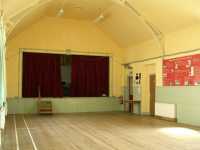 The main hall with stage, which can accommodate approx 100, hosts various clubs/organisations such as the badminton club, carpet bowls club, art club, yoga group and others during the winter months and is also used by the SWRI and Masonic Lodge for their meetings. 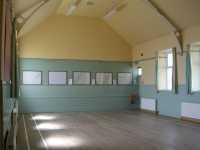 The purpose built stage in the main hall also means that we enjoy frequent visits from small theatre groups. 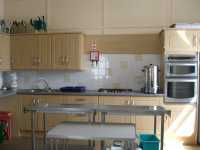 In addition to the main hall there is the Ante Room with adjoining kitchen which can be partitioned off. 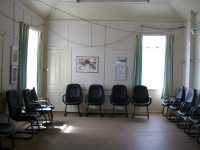 This room is useful for smaller groups (approx 20 - 30) and for committee meetings and is used by South Cowal Community Council for its regular meetings. Should you wish to hire the Hall for a particular event/function or on a regular basis please follow the link to our bookings page and proceed from there.